Sigstr gives end users the ability to edit personal information through the Employee Preference Center. 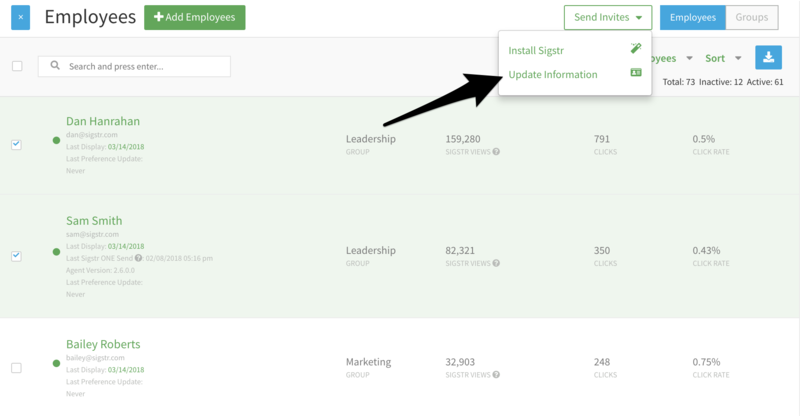 Depending on which employee fields your Sigstr admin has unlocked, end-users can update signature data in a matter of minutes. Afterwards, download employee information straight from Sigstr to ensure your employee records are up-to-date. Follow the steps below to give end users access to the Employee Preference Center. 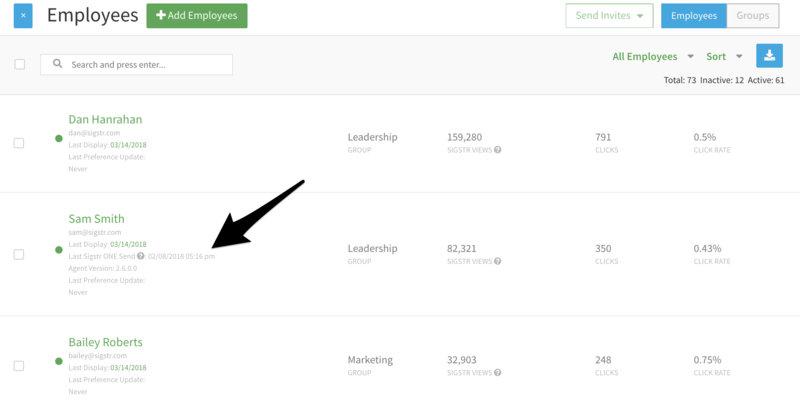 Navigate to the Employees tab and select the users you want to invite. Click on the Send Invites drop-down menu and select Update Information. The invite will trigger an email to be sent to each selected end user. 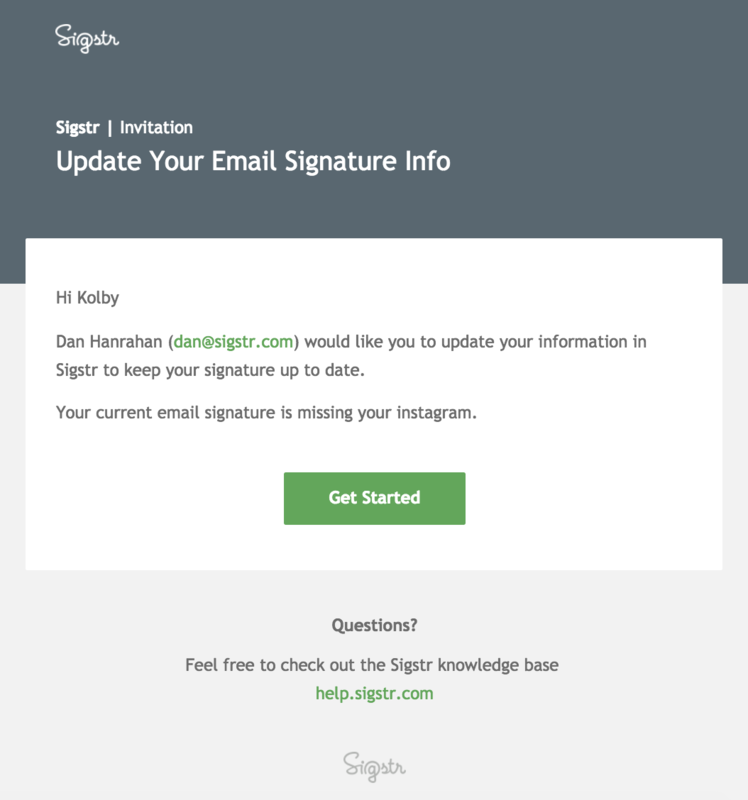 The Install Sigstr option is only for customers who wish to ask end users to manually install Sigstr. 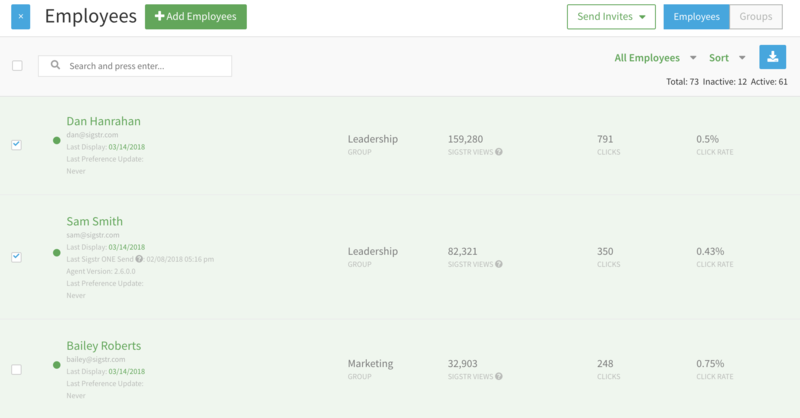 After the invites have been sent, track which users have updated their information via the Employees page. If you are using Sigstr’s Google Apps Integration, make sure Auto-Sync is turned on. Follow the steps below to update your personal signature data. 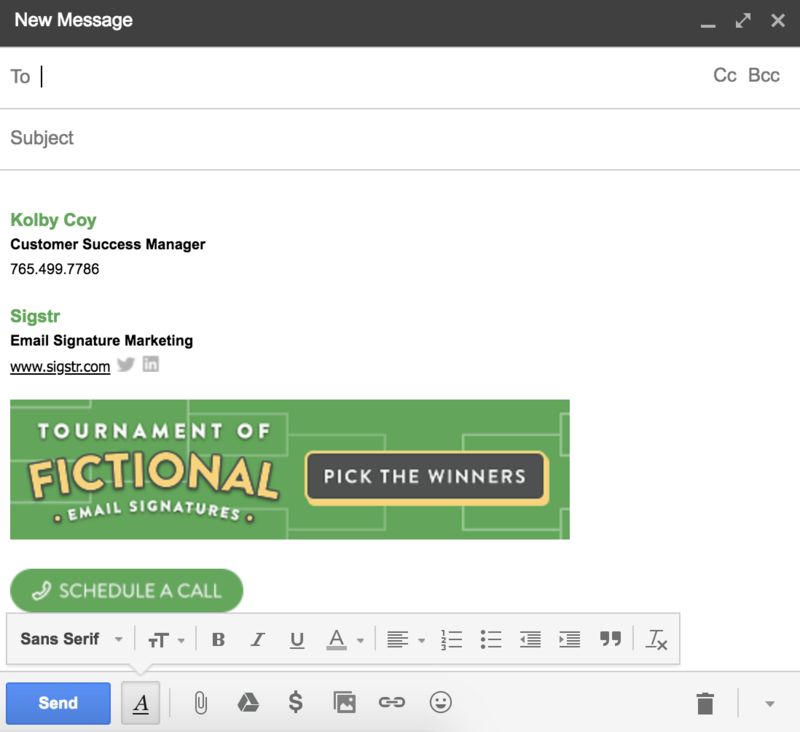 Open the email invitation from your Sigstr admin and click on the Get Started button. Note that the email will tell you if there is missing signature data. Fill in and update all unlocked fields. Click Show additional fields to complete your profile. Click Submit Changes to finish out the process. Close and reopen your email application to ensure the changes you’ve made are reflected in your email settings. If you need to make any additional changes at a later date, simply navigate to app.sigstr.com and sign in using your Google or O365 credentials.